The Roundtable will host a full length feature film, The Great Locomotive Chase staring Fess Parker. 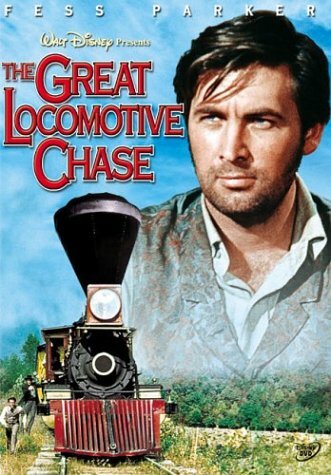 The Great Locomotive Chase or Andrews' Raid was a military raid that occurred April 12, 1862, in northern Georgia during the American Civil War. Volunteers from the Union Army, led by civilian scout James J. Andrews, commandeered a train, The General, and took it northward toward Chattanooga, Tennessee, doing as much damage as possible to the vital Western and Atlantic Railroad (W&A) line from Atlanta to Chattanooga as they went. They were pursued by Confederate forces at first on foot, and later on a succession of locomotives, including The Texas, for 87 miles (140 km).